Now you have a cutter. You use this very much like a single point cutter, cutting one tooth (gap) at a time. 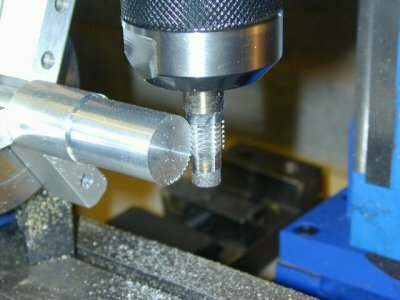 the cutter is mounted in the mill, in its collet chuck. As it was made in that chuck, it should run perfectly true with all the teeth having an equal chance to cut. 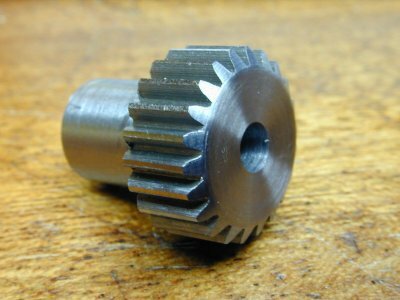 A gear blank should be mounted on an arbour in a dividing head or rotary table – whatever suits you. The blank diameter is (z+2)*mod or (z+2)/DP. 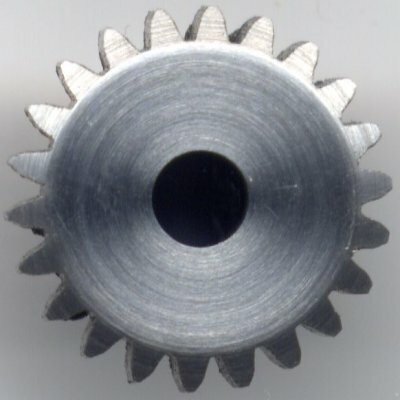 If I wanted a 48 tooth, 0.5mod gear, the blank would be 25mm diameter. 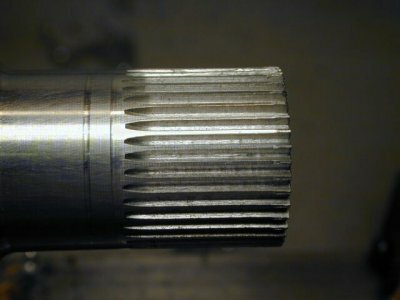 It is paticularly important that finer pitch gears are mounted truly to the dividing spindle. If necessary, you can finish turn them to size on the lathe while mounted on the spindle to be used in the dividing arrangelment. You hairy types cutting traction engine drive gears at 2inch scale can probably worry more about dropping it on your foot. Adjust the height of the cutter so that the middle tooth is exactly at the centre height of your gear blank. I wanted a number of gears of the same size so I turned a bar to the appropriate diameter and cut quite a long way along it. Index around all the way and be sure to go an extra three teeth. this ensures that the full profile is properly cut and that you have got all the steps correct. If the last cut is still removing much metal you may have a tooth out of place. For example, I added an extra hole when stepping round one gear. It looked OK until I got back to the beginning! Here is the large blank finished and ready to be transferred back to the lathe to part of the individual gears. Gears generally need a hole in the middle to be useful so be sure to maintain concentricity when sorting that out. 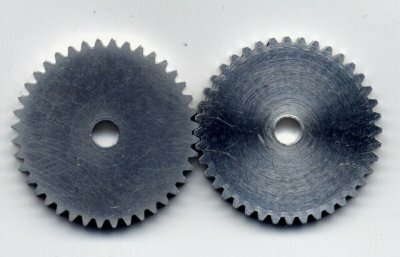 For individual gears, put the hole in and over size blank, mount to a true arbour and finish turn to size at that setting before cutting the teeth. Well, practice makes perfect and so I made a few more. Here is a more recent steel pinion. The End view reveals that the tooth profiles are actually made up of straight lines but the difference is very small and I suspect that a bit of running in will even things up to a degree. Gears made like this will work perfectly well for all but the most critical of tasks. They run a little more noisily but if there were no noise, how would you know it was working.